Dan Harrison road tests the Subaru XV with both petrol and diesel engines. It's been a little while since we've featured a Subaru Road Test on Honestjohn.co.uk. The reason is there hasn't been an awful lot to comment on. The ageing line-up has become expensive and off the pace compared to many rivals and in the past couple of years new cars have been very thin on the ground. Instead of expanding, the range has contracted, with the loss of cars like the Tribeca and Justy. There's no doubt that Subaru has been having a tough time of it. 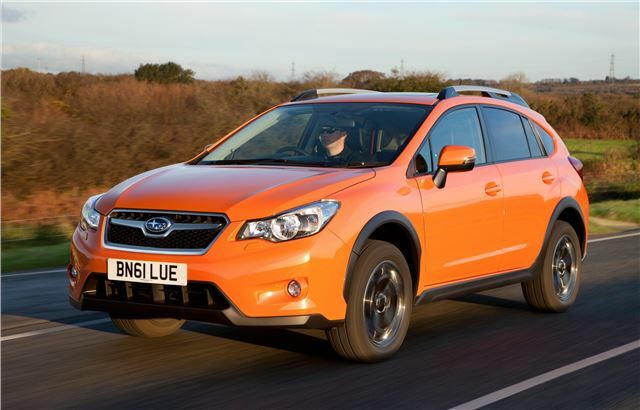 Buyers have voted with their feet (and more importantly, wallets), meaning that last year Subaru's 60-odd dealers were registering just three or four cars on average per month. 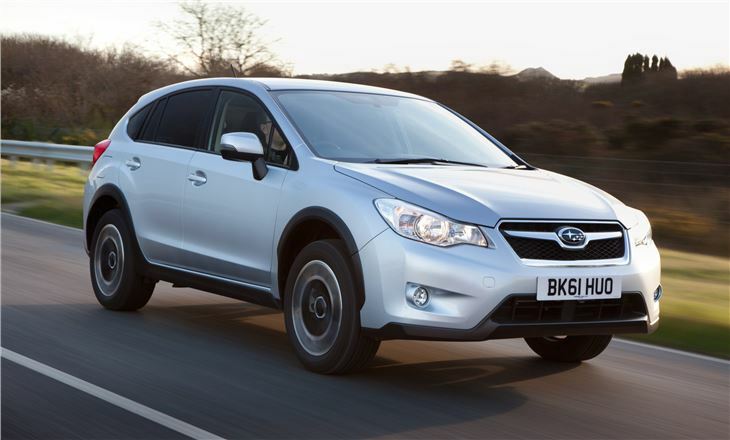 As a result last year saw just 2600 cars sold in the UK, down 32 per cent on 2010. 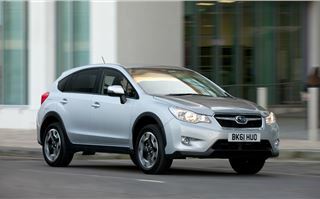 The firm hopes that 2011 will prove to be a low water mark and is aiming to restore some of the buzz that people used to associate with the Subaru name. Part of that will come from cars like the BRZ, a sports car co-developed with Toyota, but of more significance are models like this, the Subaru XV, a car with strong family appeal. 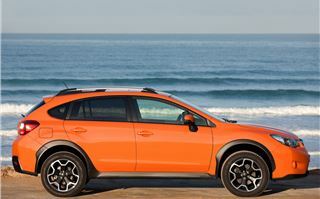 As a crossover, the XV is up against some pretty stiff competition. 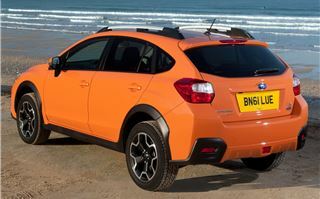 At the lower end of the market there's the excellent Kia Sportage and Hyundai ix35, Nissan's Qashqai and Skoda Yeti; at the top end there's the BMW X1, Audi Q3 and Volvo XC60. Although you'd expect the XV to be more of a rival to the Sportage, ix35, Qashqai and Yeti, the XV is actually priced more in-line with its premium competitors. That's principally because of the yen/sterling exchange rate: the XV is expensive to import. Prices start at £21,295 for the entry-level 1.6S, which compares to £18,520 for the entry-level four-wheel drive Yeti and £19,050 for the entry-level 4x4 Qashqai. But there is one very important caveat to these prices and that's Subaru's recently-introduced ETCo (Everything Taken Care of) package. 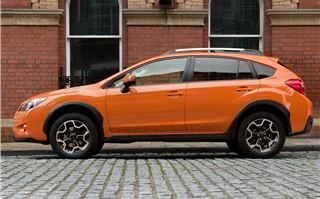 It's a masterstroke that transforms the XV from an also-ran to a possible contender - depending on how you value the benefits that are on offer. This outstanding package offers buyers minor dent and scratch repairs, alloy wheel repairs, monthly wash and vac, annual full valet, lost keys replacement, service collection and delivery, annual wheel alignment check, first MoT cover (and contribution to repairs), accident management service, insurance excess cover contribution and winter wheel and tyre storage. And all for three years. 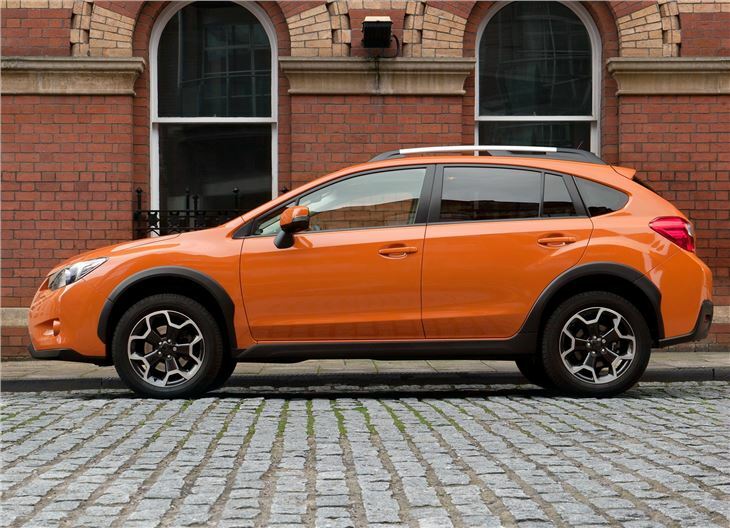 From the first twist of the key, the Subaru DNA in the XV is clear with the thrum that you only get from a 'boxer' horizontally-opposed engine. There's a choice of three engines, with 1.6 and 2.0-litre petrols, though it's the 2.0-litre diesel (starting at £24,295) that will take the lion's share of sales. Just as well it's the pick of the bunch. 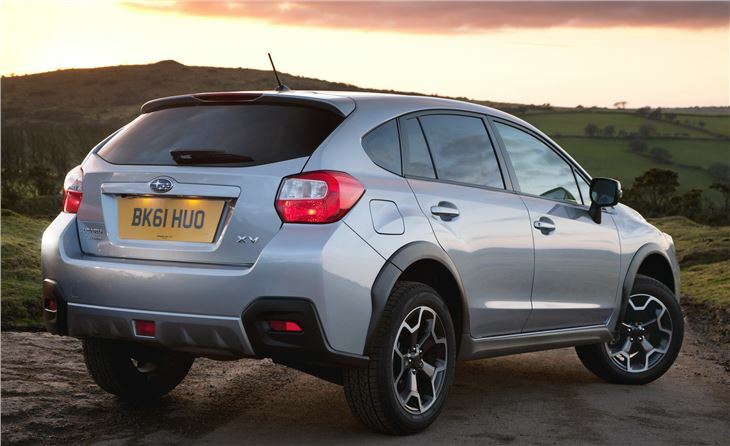 It may not be the quickest turbodiesel on the market, but it does a good, steady job of powering the XV to 62mph in 9.3 seconds and onto a top speed of 123mph. It revs impressively freely for a diesel, has plenty of pull in the low and mid-ranges and feels very flexible. 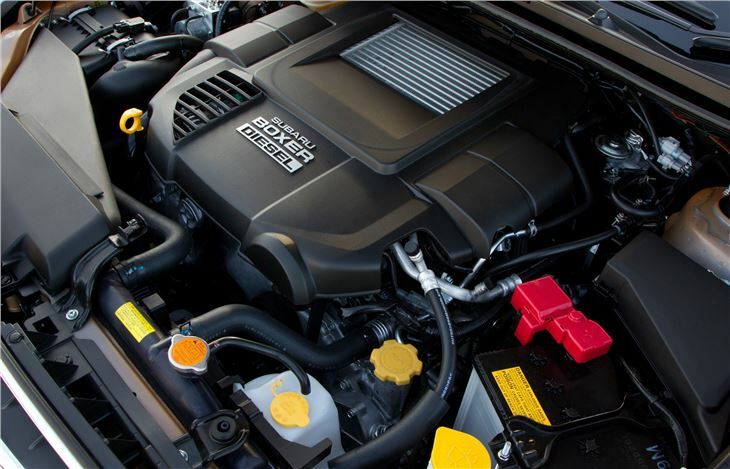 The combined fuel economy figure is 50.4mpg and CO2 emissions are 146g/km. 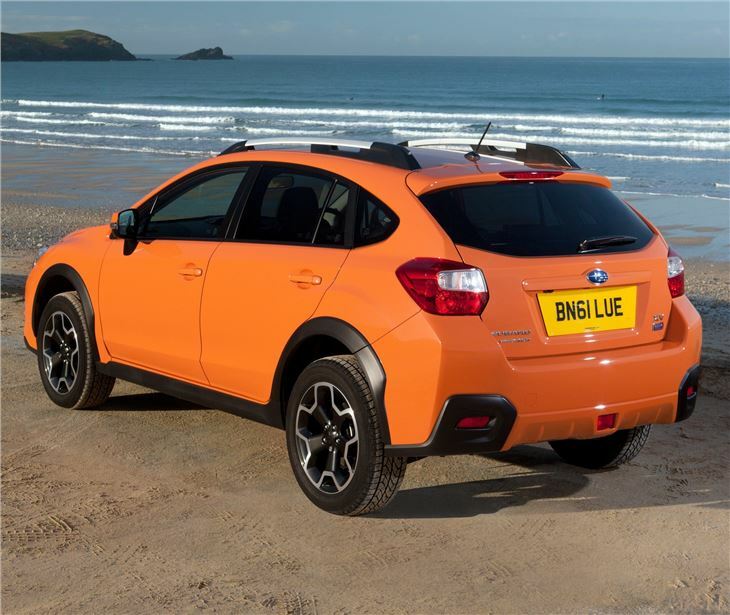 As you’d expect from a car with all-wheel drive, traction is excellent and it can really do the business off-road, even without a low-ratio gearbox. That’s not something that can be said of all of its rivals. Muddy tracks are dispatched with ease and it makes light work of inclines too. There’s more ground clearance than a Forester and it benefits from good angles of ascent and descent. Back on the road, the XV is badly let down by the way it rides. 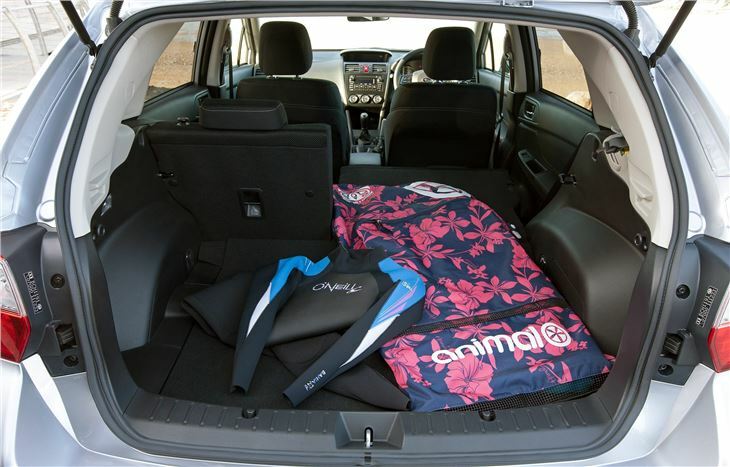 It's set up to be sporty, rather than comfortable. That means it crashes through even the smallest potholes and offers little comfort at lower speeds. It does redeem itself when it comes to cornering; with MacPherson struts at the front ant wishbones at the rear and a low centre of gravity, there's little bodyroll through bends. Inside, the cabin is roomy and bright, with room for five adults. 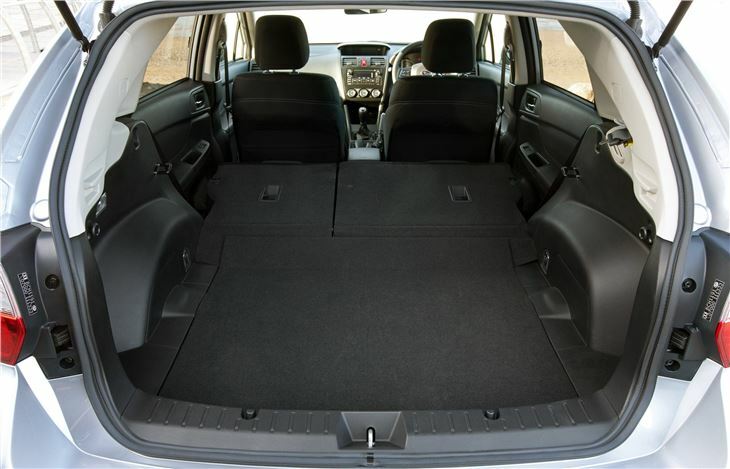 But with a mere 380 litres of bootspace on offer, the load area is noticeably small and doesn’t compare well with similar-size cars. 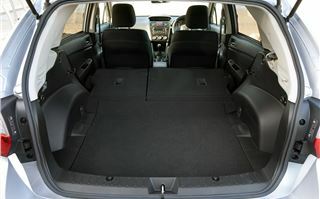 The seats do fold to free up 1270 litres of room and there’s a useful false floor providing extra storage where there would otherwise be a spare wheel. 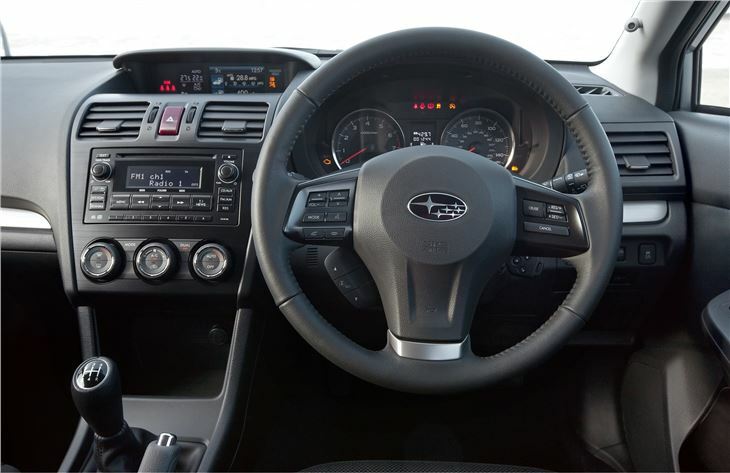 The quality of the interior is a huge step forward for Subaru, but it still doesn’t match what’s on offer from rival manufacturers. The SV is a utilitarian car and can get away with the use of harder plastics here and there, but the cabin lacks the finesse of the Skoda Yeti and Ford Kuga (let alone the BMW X1 and Audi Q3, which it competes on price), though it looks well screwed together and is, for the large part, easy to use on the move. Stylish and compact SUV in a similar fashion to the Range Rover Evoque, impressive fuel economy and low CO2, two and four-wheel drive available.